Examining the public bread crumbs of Mueller’s investigation gives some indication about what’s left that we don’t know—the active and ongoing investigative work that Mueller’s team is pursuing that hasn’t seen the light of day. WHEN THE HISTORY books are written, Rod Rosenstein might just be the most interesting figure of the Russia investigation—the beleaguered deputy attorney general whose memo in his first days on the job was used to justify the firing of James Comey. 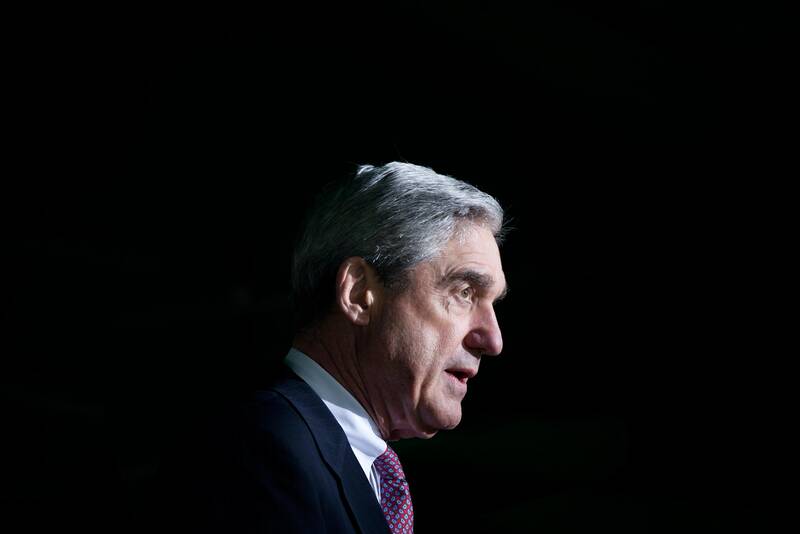 AFTER THAT HE quickly appointed Robert Mueller as the special counsel and spent the following year supervising his investigation while under immense pressure from President Trump and congressional wolves seeking to undermine his credibility, even impeach him. As congressional Republicans have sought to undermine the Justice Department’s integrity and independence, Rosenstein has made numerous short-term, tactical concessions to his critics, bending traditional rules and handing over documents to Congress about confidential sources and ongoing investigations—compromises that previous administrations would never have made. Why would anyone put up with the abuse, vitriol, and daily haranguing from the president’s Twitter account that Rosenstein has endured? Why would Rosenstein seemingly set precedents that undermine the core principles of the Justice Department, an institution that he’s devoted nearly his entire career to serving? I have a simple theory: In a world of hedgehogs and foxes, Rosenstein today is the ultimate hedgehog. Rosenstein knows one very big, monumental, history-shaping thing—how Trump’s presidency will end—and he’s wagered that if he can hang on long enough, justice will be done and the good guys, in his eyes, will win. His early actions, around Comey’s firing, will be vindicated by history when seen by the light of his bravery and personal sacrifice and refusal to be bullied into quitting, a move that would almost surely lead to Mueller’s investigation being shut down or circumscribed by whichever Trump appointee takes over supervising it next. Remember Mueller is keeping Rosenstein informed and has returned to him regularly for briefings, to ask for permission to expand his investigation in key ways, and to hand off parts of the investigation to other Justice Department units. Which is all to say: Rosenstein knows how the next dominoes fall. Which means Rosenstein knows what he’s protecting by staying in his job and fighting each day to preserve Robert Mueller’s investigation—and to ensure it has the time to come to a public denouement that he surely already knows. Rosenstein is fighting a guerilla war against Republicans on Capitol Hill and Donald Trump, knowing that he can lose lots of small battles because ultimately he will win the war. 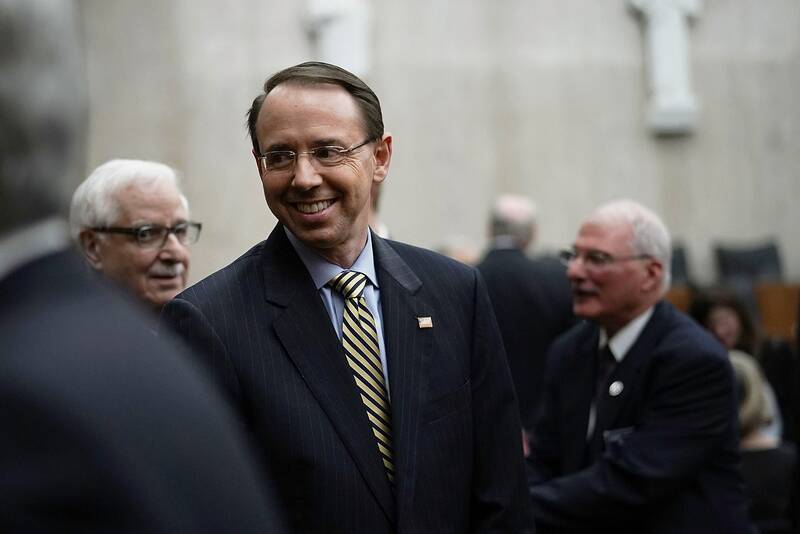 The reason that Rosenstein has stayed on appeared to be on full display Friday, as he—and he alone—announced the historic indictment of 12 Russian military intelligence officers responsible for the 2016 attacks on the presidential election. It was only the second time Rosenstein has personally issued the special counsel’s indictments, the other being February’s equally monumental indictment of the Russians involved in the Internet Research Agency’s social media campaigns during the election. IT WAS HARD not to view Friday’s press conference as a victory lap of sorts by Rosenstein, as he announced that the US government had proof beyond a reasonable doubt that the Russian military attacked American democracy—an announcement he made just one day after a marathon, 12-hour Republican congressional pigpile on the FBI agent, Peter Stzok, who helped launch that very investigation and execute it in secret throughout the fall 2016 campaign.The highly detailed, 29-page indictment of 12 Russian military intelligence officers was a reminder, too, of the incredible level of detail known by Special Counsel Robert Mueller’s team. The sheer volume of what Robert Mueller knows is staggering. Perusing his various court filings since last September makes clear he knew the individual changes Paul Manafort made in a specific Microsoft Word document; he knew that Dutch lawyer Alex van der Zwaan was lyingabout what he did on behalf of Manafort and Gates; he knew the specific times Russia military intelligence officers were searching specific wordsway back in 2016; he knew the specific cryptocurrency transactions used to register the Russian intelligence agency accounts; he knows what the hired trolls at the Internet Research Agency were writing in emails to their family members in 2017; he knew the messages Manafort was sending on encrypted messaging services. Former Trump Campaign Chairman Paul Manafort faces a series of indictments brought by the special counsel for money laundering and is scheduled for trial next month. Even those who think they know turn out to be surprised by the scale and specificity of what Mueller knows. Last month, the senior Democrat on the Senate Intelligence Committee, Mark Warner, joked to donors, “If you get me one more glass of wine, I’ll tell you stuff only Bob Mueller and I know. If you think you’ve seen wild stuff so far, buckle up. It’s going to be a wild couple of months.” But after Friday’s indictment, Warner said—impressed—that the “vast amount of information” in Mueller’s latest documents were new to him and the Senate Intelligence Committee. What lies in between those four corners is presumably what Mueller and Rosenstein know—and we can expect that the next round of indictments to begin to connect those dots, particularly in regard to the role of Americans who participated, wittingly or unwittingly, in the attacks. Rosenstein has been careful to point out that neither the the indictments aimed at the GRU—Russian’s main intellegence arm—nor the IRA allege the involvement of Americans, yet those words seem carefully chosen to stave off President Trump’s immediate outrage while preserving the possibility that future indictments will very much target Americans. Examining the public bread crumbs of Mueller’s investigation, though, gives some indication about what’s left that we don’t know—the active and ongoing investigative work that Mueller’s team is pursuing that hasn’t seen the light of day. In broad buckets, there are at least eight significant areas of the investigation yet to be penciled in by Mueller. 1. How do Erik Prince, the Seychelles, and the inauguration fit in? The Blackwater mercenary founder (and brother to Education Secretary Betsy DeVos) traveled to the remote islands in the Indian Ocean just before Trump’s inauguration to have a secret meeting with a Kremlin official. He’s denied the meeting had anything to do with Trump—saying it was a routine business meeting for himself—but the FBI met him at Dulles to question him, and Mueller has reportedly gathered Prince’s telephone records. Similarly, Russian oligarch Viktor Vekselberg, who—oddly—attended Trump’s inauguration just days after meeting with Trump lawyer Michael Cohen at Trump Tower and was at the infamous RT TV dinner in Moscow in 2015 with Putin, Michael Flynn, and Jill Stein, was surprised on the tarmac at a US airport by FBI agents from Mueller’s team when he visited the US. 2. How do the UAE, Qatar, and Jared Kushner fit in? While we’ve mostly talked about Mueller’s probe as focusing on Russia, there are clearly some adjacent questions about other foreign influence in Washington involving Republican donor Elliott Broidy, among others. A key Middle East go-between, Lebanese-American businessman George Nader, is both cooperating with Mueller’s investigation and has testified before his grand jury—indicating a line of inquiry that hasn’t resulted in any public charges but is somehow central to Mueller’s underlying investigation. Qatar itself evidently gathered information about the UAE’s campaign to influence Trump son-in-law Jared Kushner but opted against handing it over to Mueller. The special counsel has also been looking into Kushner’s friend Rick Gerson, in part over another, separate meeting in the Seychelles in 2017. Unlike the probe into Trump lawyer Michael Cohen, Mueller hasn’t handed this thread of the investigation off to another office, which appears to indicate that in ways not yet clear to the general public, the UAE and Qatari questions are related to the underlying Russia probe. This open line of inquiry could be related to why Kushner has still not been able to receive the highest level of security clearance for his work at the White House. 3. What role did Sergey Kislyak, the GOP convention, and the finances of the Russian Embassy play? The former Russian ambassador to the US (who was replaced in September by Anatoly Antonov) has been a puzzling figure over the nearly 18 months since the investigation began. It was his meetings with now-Attorney General Jeff Sessions, on the sidelines of the Republican National Convention—a convention that saw still unexplained attempts to make the platform more pro-Russia—that led to Rosenstein taking charge of the investigation. And ongoing revelations about meetings with Sessions and Jared Kushner and telephone calls with Michael Flynn have given him a shadowy Rasputin-like presence in the entire affair. As the full scope of the Russian effort becomes clear, it’s all but certain that such a high-level, coordinated attack would have never been attempted against the US without Kislyak’s knowledge; he was—and is—a well-wired, savvy, loyal, longtime diplomat, a native Ukrainian who chose to remain Russian when the Soviet Union broke apart and whose term as ambassador coincided with increased espionage efforts against the US (at least one of which involved attempting to recruit future Trump aide Carter Page). Add to all of that the news from Buzzfeed that Mueller is scrutinizingnumerous suspicious payments and cash withdrawals from the embassy as well as hints about how Russians like Alexander Torshin might have sought to cultivate the National Rifle Association and Mueller’s apparent interest in the NRA’s funding, and it seems like the special counsel is zeroing in on the way Russian money might have flowed through the American campaign illegally..
4. How do Roger Stone, Wikileaks, and other Americans and Brits fit into the GRU indictment? As Rosenstein noted, the GRU indictment stopped short of charges against anyone who interacted with the Russian hackers who masqueraded as “Guccifer 2.0,” but there are lots of bread crumbs about those interactions in the indictment that could, with additional facts, be grounds for possible criminal charges. A US congressional campaign solicited and received files on its opponent from Russia. Guccifer 2.0 interacted with “another entity,” certainly Wikileaks, about leaking the stolen Democratic files and the best timing to do so. And longtime Trump aide Roger Stone says he thinks his interactionswith Guccifer 2.0 are mentioned in the indictment too—perhaps not surprising, since Stone notably tweeted in August 2016 that it will soon be “Podesta’s time in the barrel,” months after the GRU had stolen Podesta’s emails but months before they were released publicly. There are numerous previous indications that Mueller is keenly focused on Wikileaks and Stone. At least seven Stone associates have been questioned by Mueller’s team, including Stone’s social media aide last month and the sometimes-twitchy Trump adviser Sam Nunberg back in March. Beyond just Stone, there are numerous open questions about Wikileaks, identified only as “Organization 1” in Friday’s indictments. Relatedly, Mueller appears to have zeroed in on British politician Nigel Farage and other self-described “Bad Boys of Brexit,” including businessman Aaron Banks, who met repeatedly with the Russian ambassador in the UK as the Brexit campaign unfolded. 5. What did Mueller learn from George Papadopoulos, Rick Gates, and Michael Flynn? Perhaps the most notable unanswered question in the Trump investigation so far is what Papadopoulos (whose loose lips kicked off the entire original FBI probe), former Manafort business partner Rick Gates, and former National Security Adviser Michael Flynn all traded for leniency in their own guilty pleas. Mueller has handed out nearly 200 criminal charges so far against dozens of targets. And yet—by all appearnces—not a single one of those charges have stemmed from information provided by his cooperating witnesses. What did they give Mueller? At the same time, the special counsel appears to be moving toward sentencing Papadopoulos, meaning that his role in the investigation might be nearing an end, while Flynn’s role will apparently continue into the fall. At the same time, though, it seems clear that Flynn is under the impression that he will off scot-free: His team announced this past week, prematurely it appears, that he plans to join a new DC consulting firm—not exactly the behavior of someone who thinks he’s heading to federal prison. 6. What’s in those 291,000 Michael Cohen documents? The investigation into Trump lawyer and consigliere Cohen was spun off to New York federal prosecutors and appears to be moving quickly—a federal judge put Stormy Daniels’ lawsuit against Cohen on hold because of the likelihood he will soon be indicted. We know that prosecutors seized upward of 291,000 items from Cohen and that Cohen has been steadily dropping hints in recent days that he’s preparing to cooperate with prosecutors, including changing his Twitter bio to reflect he’s no longer Trump’s lawyer. What crimes will Michael Cohen be charged with—and what can he tell prosecutors in exchange for leniency? 7. What’s up with that Trump Tower meeting? The email to Donald Trump Jr. from Rob Goldstone that kicked off the now infamous Trump Tower meeting in June 2016 has always appearedas if it were picking up on a previous conversation. Goldstone wrote, in part, “This is obviously very high level and sensitive information but is part of Russia and its government’s support for Mr. Trump,” a phrase that seems to indicate that he knows Don Jr. is already aware that Russia is supporting his father. Why was it phrased that way? And what transpired at the meeting with Kremlin-connected Russian lawyer Natalia V. Veselnitskaya—and after? Nearly every Trump campaign figure of consequence was in the room—Manafort, Kushner, and Don Jr.—and we now know the meeting came just as Russia ramped up its efforts with the IRA and GRU to hurt Hillary and help Trump. The fallout from that meeting, as it became public last summer, appears to be a central part of Mueller’s investigation into obstruction of justice. If Mueller’s probe can be thought of as five distinct inquiries, this final obstruction question is the only one he has left uncharged—for now. 8. How relevant is Cambridge Analytica and was there a coordinated effort by the Trump campaign or associates to gather intelligence or untoward opposition research on Hillary Clinton? We know that Mueller has been examining the notorious—and now defunct—data firm behind Trump’s victory that was funded by top GOP donor Robert Mercer, including interviewing former employees and the banks that worked with it. Investigators have evidently told those one-time employees that their focus is on the firm and “associated US persons,” a phrase that seems to imply interest in as-yet-unknown Americans coordinating with the British firm. But that’s just one part of a spate of loose threads regarding the tech efforts of the Trump campaign in 2016, including a series of Wall Street Journal interviews with longtime Republican operative Peter Smith (just days before he killed himself last spring) in which he outlined how he’d assembled a team to find Hillary’s stolen emails in the summer of 2016. Smith said at the time he was working with Flynn, but there are more unanswered questions than answers about the entire effort. Focusing on the same timeframe, Mueller’s GRU indictment seems to go out of its way to connect Trump’s famous July 2016 “Russia if you’re listening” comments to the fact that the GRU hackers began to attack Clinton’s personal email accounts after business hours that same day. Given that federal indictments are carefully written and edited mercilessly, it seems impossible to imagine that that phrasing was included by happenstance. 9. Do people like Carter Page and Felix Sater matter? It’s hard to keep track of the numerous figures who float in and out of the Trump-Mueller-Russia investigation orbit; some, like Michael Caputo, may not end up mattering at all in the final outcome. Yet there are others, like Carter Page—who was a target of a federal counterintelligence surveillance warrant through much of 2016—and Felix Sater, a one-time intelligence asset himself, who may be bit players in the entire matter or may end up proving to be consequential figures. THESE NINE DISTINCT areas of open questions are hardly encyclopedic—this list doesn’t even count unanswered questions about, for instance, the role of the Russian intelligence service FSB in its own attacks on Democratic targets (an operation known as Cozy Bear) or loose ends from previous indictments, like the activities of DC superlobbyists Tony Podesta and Vin Weber. And it doesn’t count the numerous salacious questions still unproven in the Steele dossier, like what exactly happened at the Moscow Ritz?Potentially most consequentially of all, these nine questions are separate from one of the central questions of the Mueller probe: Is Bob Mueller done with Paul Manafort? The former Trump campaign chairman is moving toward trial later this month on charges related to a money laundering scheme apparently unrelated to the Trump campaign—and he’s in jail pending trial after allegedly attempting to tamper with witnesses while out on bail—but that doesn’t mean that Mueller won’t bring additional charges or that Manafort won’t decide to cooperate with Mueller in exchange for leniency. 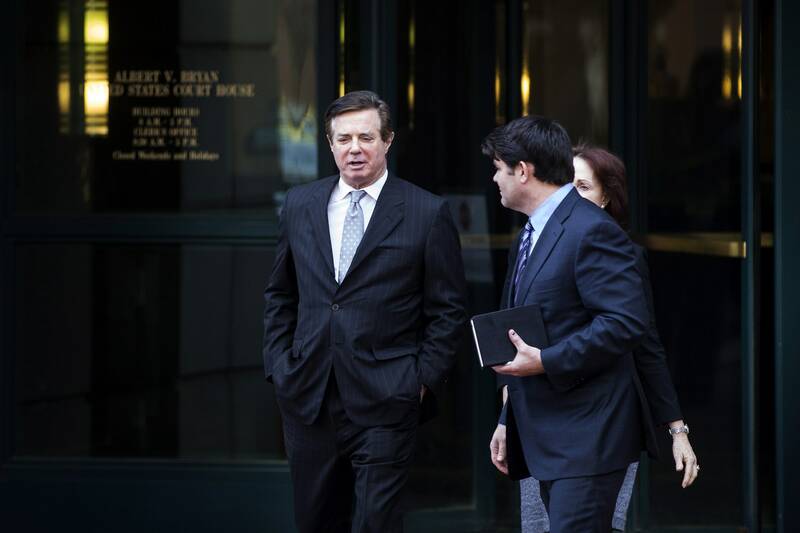 Manafort is in his late sixties, facing hundreds of years in prison, and, if convicted on an even a few charges in what experts say is a particularly strong case by Mueller, might never walk free again—unless, that is, he has something big to offer the special counsel. Does he? That’s a question Rosenstein himself may not yet know the answer to, but you can be sure that the deputy attorney general knows most of the answers to the rest of these questions already. After all, the signature lesson of Mueller’s inquiry at every turn has been that his investigators knows far, far, far more than anyone in the public expected. Just ask the GRU military intelligence officers who are sitting in their office wondering how Mueller knew that on June 15, 2016, between 4:19 pm and 4:56 pm Moscow local time, they searched the web for the English phrase “company’s competence” hours before it appeared in the inaugural blog post by “Guccifer 2.0”?